ASUS AiCloud redefines the cloud and brings you online experiences like never before. To make the most of it, refer to this page for helpful tips and troubleshooting suggestions. 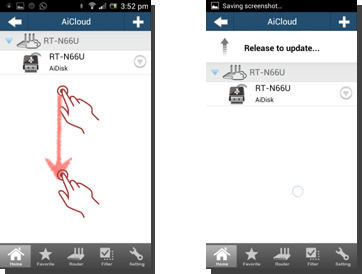 For more information about AiCloud, you can also download the user manual here! How can I setup Samba (Windows Network Places) services? Step1. Find the particular folder you want to share. Right click on the folder, and click on Properties. Step 2. Click on Sharing on the top list. Step 3. Click on Advanced Sharing. Step 4. Click Share this folder.Type its name in the Share name box. Step 5. Click Permissions.Check the user permissions you want to allow. Step 6. 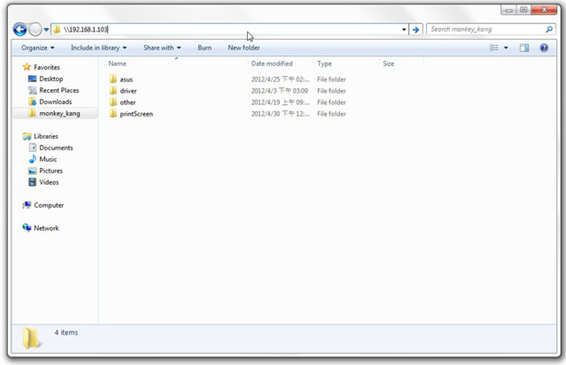 Shared folder icons change after following the above steps. Step 7. 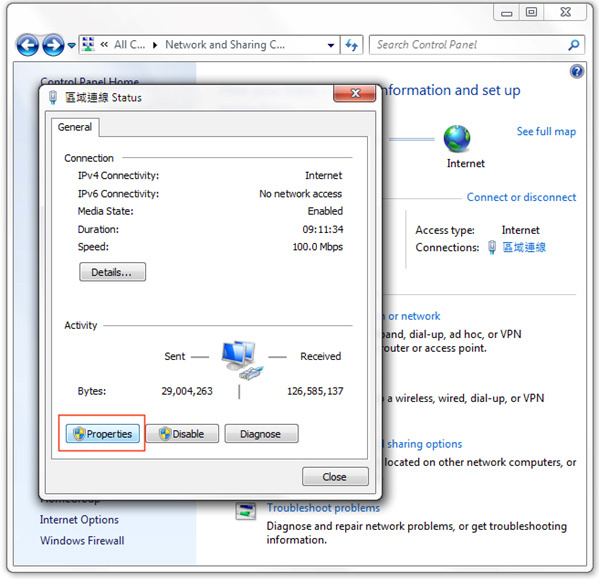 On other devices connected to the router, type the “\\LAN IP” of a shared PC in the window, and shared folders will shown. I can’t access shared folders. How do I resolve this problem? There could be several reasons for this. Step 1.Click the Start button, then Control panel. Step 2. 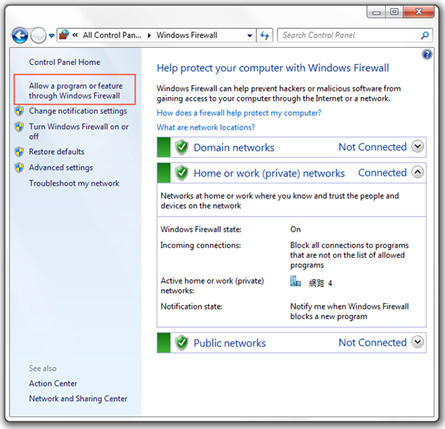 Click on Windows firewall in Windows Vista and Windows 7. Choose “Allow a program or feature through Windows Firewall”. Step1. Click the Start button, and click on Control Panel. Step2. 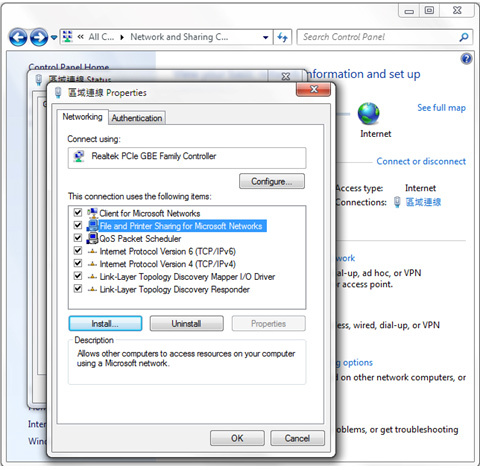 Click on Network and Sharing Center in Windows Vista and Windows 7. Step3. 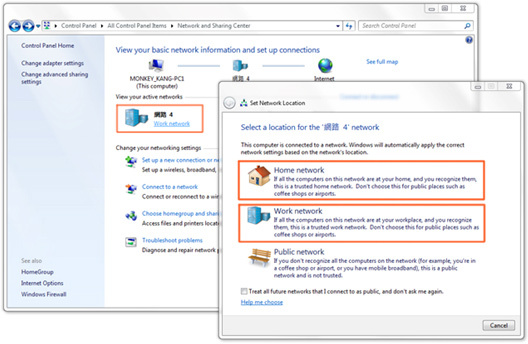 In the Active Networks section of the Window, select Home network or Work network. Do not select Public network. Step 1. Click the Start button, and click on Control Panel. Step 2. 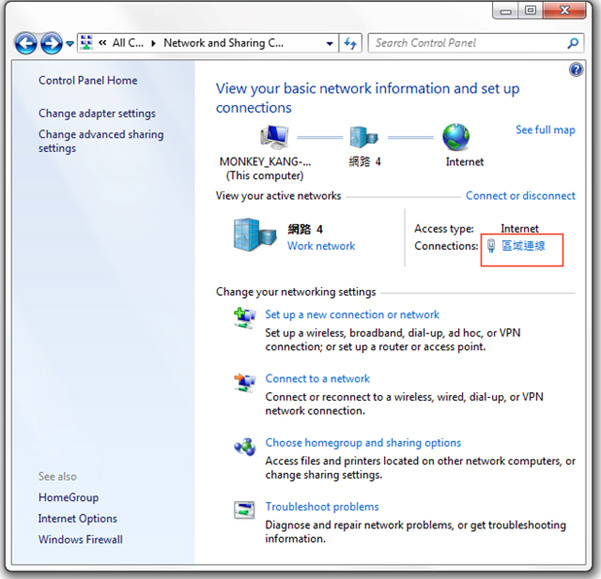 Click on Network and Sharing Center in Windows Vista and Windows 7. Step 3. Click on Local Area Connection. Step 4. Click on Properties. Step 5. 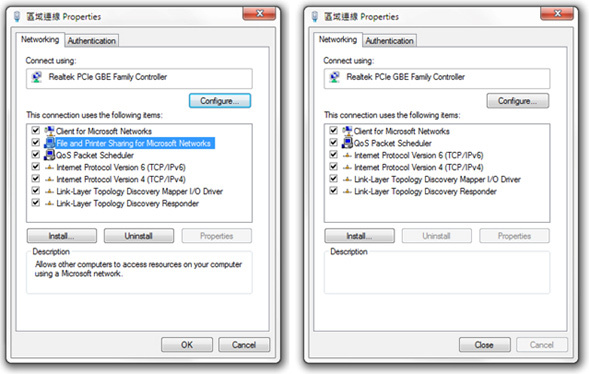 See whether File and printer for Microsoft Networks is checked in the list. If yes, ignore the following steps, or click Install. Step 6. Click Service, and press Add. Step 7. 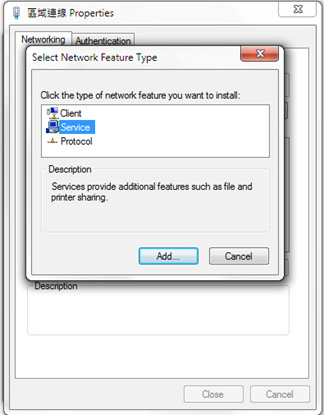 Select File and printer sharing for Microsoft Network, press OK, and it will be added to the list. How can I setup Samba services on Mac OS? Step3 - Click [+] on bottom-left to create new accounts that you want to share. Or, you can use existing account if you want. Then fill up forms on the drop-down window. 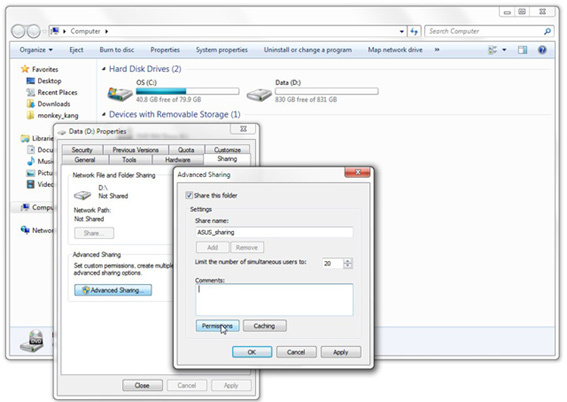 Step6 - Enable [File Sharing] on the left block and click [Options] on the right block. 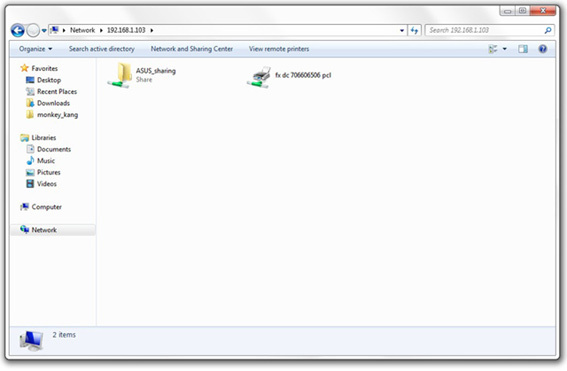 Step7 - Enable [Share files and folders using SMB]. Step8- Then we are going to add a new share folder, click [+] and choose a specific folder you want to share. 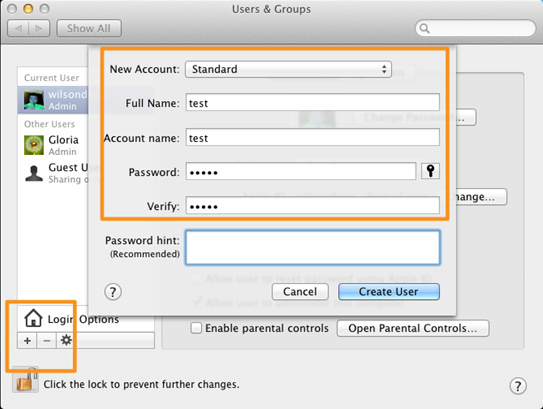 Step9 - And we could set the folder's permissions to any account. Click [+] on the right block to add a account who have permission to this folder. My router doesn't have a public IP address. Can I still use AiCloud? (2) Input your AiCloud router’s IP address in the parent router’s port forwarding or DMZ list to access private IP addresses remotely. AiCloud requires ports 8082 and 443 be open. You may also refer to your parent router’s manual for additional setup details. Why do I have Local Network showing alongside AiCloud Device List? - Your router is not an ASUS router and doesn’t support AiCloud. In this case, AiCloud sees this router and all devices behind it as a local network, so you can access them only via regular Wi-Fi. - Your router doesn’t have AiCloud enabled. 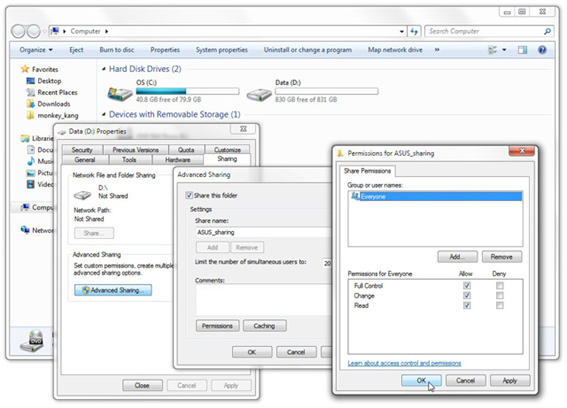 Click Settings and then Quick Setup to launch the AiCloud setup wizard, then follow the on-screen instructions. - Wi-Fi data packets may be dropped by your mobile devices. Pull down the device list to refresh it. The computers listed are incorrect. 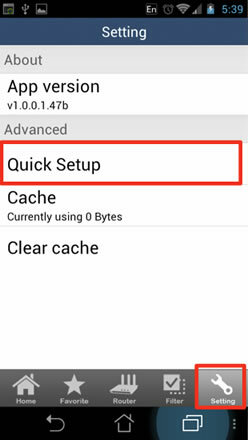 How to refresh the device list. Press the screen and pull down, then raise your finger. The device list will be refreshed. I can not wake up my PC. How to troubleshot? Please follow the check list to verify your settings. 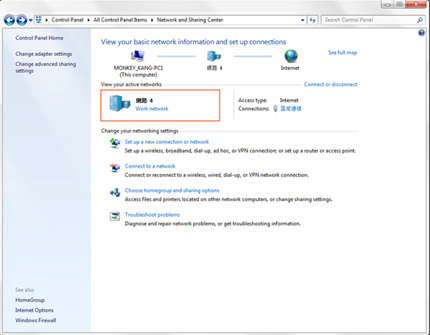 Your PC must connect to router by network cable. Your PC must be in sleep or hibernate mode. Why can’t I stream play multimedia content using the AiCloud app? - Media players installed on your device lack the needed decoders for your multimedia content. We recommend MX Player for Android and Ace Player or G Player for iOS. 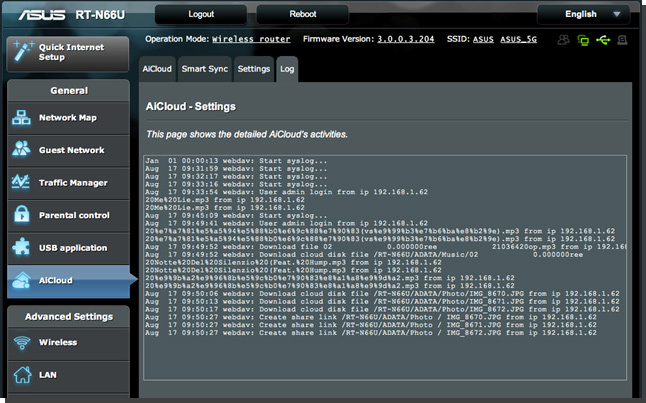 - Your router doesn’t have AiCloud enabled, and so the app sees your router and devices behind it as a local network. Click Settings and then Quick Setup to launch the AiCloud setup wizard, then follow the on-screen instructions. What is the recommended upload speed for different types of media format? For the best experience, a broad band internet connection is required. At least 768Kbps is recommended for music, 5Mbps for standard definition video, 15Mbps for 720p video, and 30Mbps or faster for 1080p HD video streaming. Internet upload speeds may vary depending on your service provider and other factors. If you are not sure what your internet speed is, you may contact your service provider or use an online bandwidth test from a computer connected to an ASUS Router. I shared many files with share link. How can I manage the shared files. 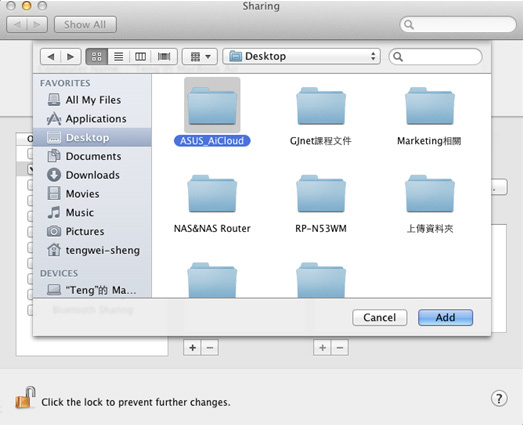 After entering the AiCloud web interface, you can click the config icon and click the tab “Share Link”. All the shared files details are listed here. Can I set different Smart Sync rules to multiple WebStorage accounts? 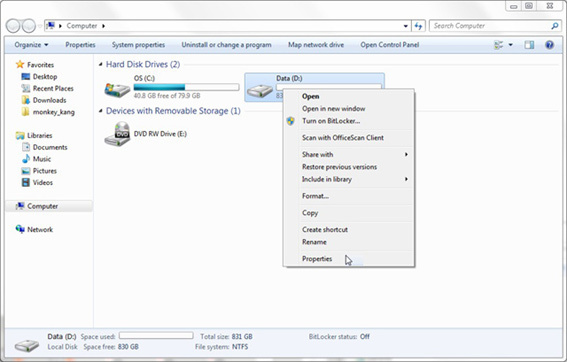 Smart Sync supports one WebStorage account currently. Multiple account support is in development. 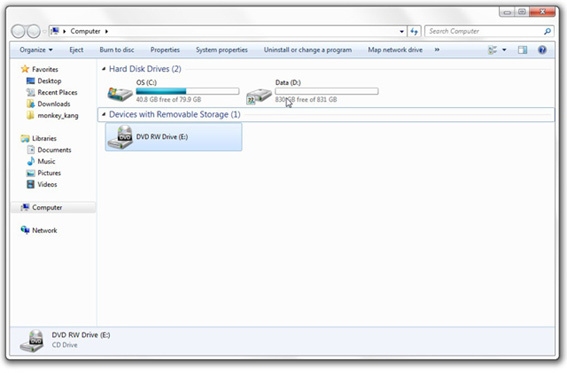 Can I sync with special folders on WebStorage? 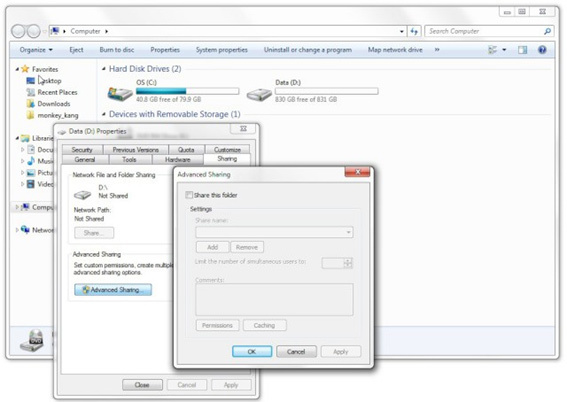 To simplify the Smart Sync setup process and since USB storage is generally bigger than WebStorage space in most cases, Smart Sync supports creating a single folder on USB storage where the entire contents of a WebStorage account can be synced to. How to access the AiCloud with browser. You can type the Key in https://[your ASUS DDNS name].asuscomm.com to access the your AiCloud. Why cannot I see the upload button in web interface. This function need HTML5 file API. Currently the Internet Explorer and Safari do not fully support the HTML5 file API. If you want to upload the file via the web interface, please use Google Chrome and Firefox. For security reason, AiCloud does not support root folder file changing. Use secondary folder to upload files. 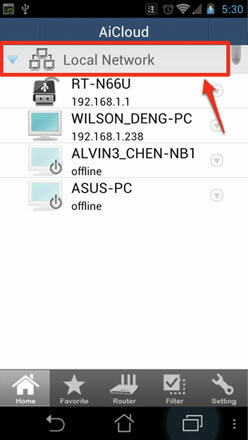 Where can I see and change the DDNS name assigned by the AiCloud App automatically? 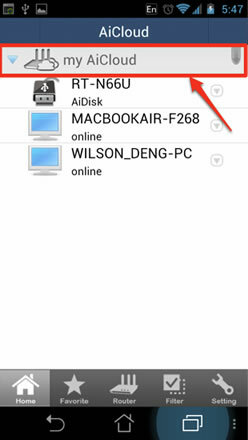 You can check the AiCloud DDNS name in both the app and firmware. 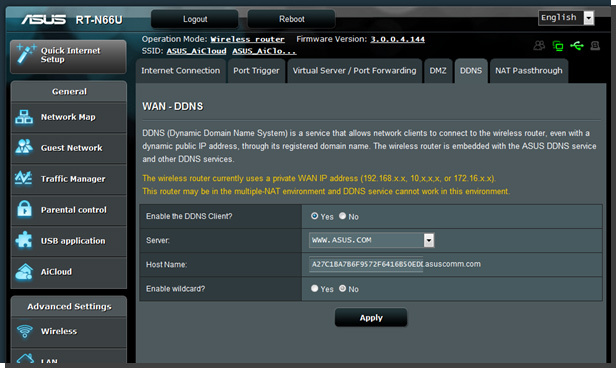 If you want to change the automatically generated DDNS name, go to firmware Advanced setting --> WAN --> DDNS to set the new DDNS. Tap the router button, then the router name. In the server URL field, you can see the DDNS name (read only and can’t be changed). Is the AiCloud connectivity secure? AiCloud provides a secure HTTPS connection encryped by SSL. Key in https:// [your ASUS DDNS name].asuscomm.com to access the your AiCloud. Why do I need to key in the user name/password again when using Smart Access? 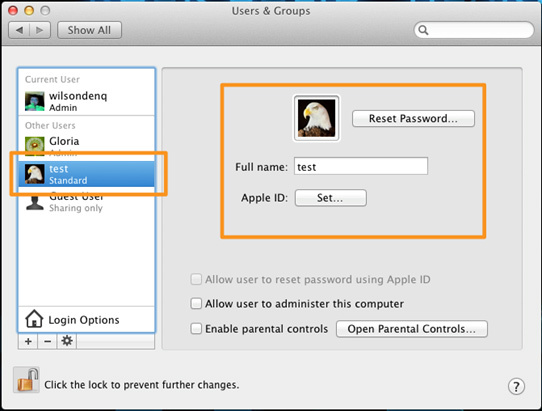 For security reason, user names and passwords are not stored on AiCloud, and need to by typed in manually each time. Your browser may asks whether saving password or not. If you do not want the browser save the password. Please choose “do not save password”. Why the browser shows the security certification alert when using browser to connect AiCloud? In HTTPS connection, the server hosting( AiCloud router) presents browser with a certificate to verify its identity. Because the certificate is generated by router and not verified come from third party. 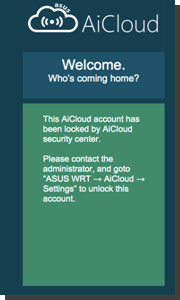 You can click the continue button to enter the AiCloud and do not need to worry. If you want to see the warning again, you can set the AiCloud as trusted site in your browser certificate management menu. Where can I find the AiCloud usage information? You can login the firmware->AiCloud --> log to see related information. After enabling the password protect function, you can also see the last login time and IP on the AiCloud web interface, you can use it to check the last login status. Does AiCloud have any method to prevent account from Brute-Force attack? You can define allowable account/password login retry attempts. 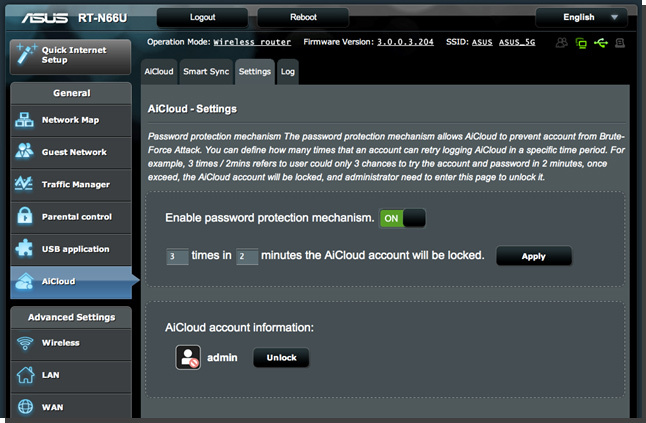 Go to firmware-> AiCloud --> Settings and you can enable the password protection. For example, should someone attempt to login to your account more than three times without success, the account automatically locks them out. You can go to the Setting page to unlock the account should this happen. The AiCloud server supports the media formats listed below. Your third party media player must also be compatible with these to enable media streaming. We recommend MX Player for Android, and Aceplayer or Gplayer for iOS. What are the supported formats for Mac OS web video streaming? The AiCloud web interface supports mp3 streaming and jpg for Mac OS. Other media formats streaming are in development. Currently the AiCloud support English, the French, German, Italian, Russian, Brazilian, Czech, Danish, Finnish, Norwegian, Polish, Spanish, Swedish, Thai Turkish, Traditional Chinese and Simply Chinese will be added in the future. *Additional public cloud service support and certain features to be added at a later time. *The specifications are subject to change without prior notice. © 2012 ASUSTeK Computer Inc. All rights reserved.